That statement came from Robert Mayor, executive director of Saint Joseph's Children's Home. As you can tell, Mr. Mayor believes that education for all children is essential. Sometimes a strong history in a place can be extremely helpful in encouraging a safe environment for learning. Saint Joseph's Children's Home has been in the same location since it began in 1930, and it still serves kids from across Wyoming today. St. Joseph's Children's Home is a private, non-profit psychiatric residential treatment facility for kids ages six to seventeen located in Torrington, Wyoming. Children who attend the school typically exhibit different concerns including physical abuse or neglect, depression, defiance of authority, substance abuse problems, anger, and aggressive behavior among other issues. Children can receive education from this fully accredited K-12 program in a healthy environment conducive to their specific needs. It is a common idea in historic preservation that history is a major contributing factor to place, and can often influence how we perceive and interact with our environments. Part of what makes Saint Joseph's Children's Home successful comes from its long heritage on a single site. The home was established in 1930, and the original building that was constructed at that time is still the focal point of the school's campus today. Bishop Patrick McGovern from the Diocese of Cheyenne originally established Saint Joseph's as an orphanage. Bishop McGovern was an orphan himself growing up in Nebraska. After over 40 years as an orphanage, Saint Joseph's shifted to an educational facility for at-risk youth in 1973. The four-level main building and the barn were both built in 1930. A chapel was added in 1935, and a museum and kitchen were constructed in 1954. Several other additions were made in the late 1990s and early 2000s. The 1930 main building served as the orphanage, and the barn operated a working dairy farm. Today, the main building is used for offices, classrooms and administration. The large influx of students necessitated the evacuation of the main building as residences for the kids. However, the change from orphanage to psychiatric treatment facility, combined with increased number of students, also brought in a vast increase in staff needs at St. Joseph's. The main building was perfect for use as administrative offices for therapists and teachers, as well as classrooms for the kids. Other parts of the site remain true to their original use. “The chapel looks exactly the same as it did in 1935," says executive director Robert Mayor. Before 1965, canopies were quite common in Catholic churches. "They kept the canopy here at St. Joseph’s just to keep the chapel the way it was in 1935.” The canopy at St. Joseph's was hand-carved in Italy. 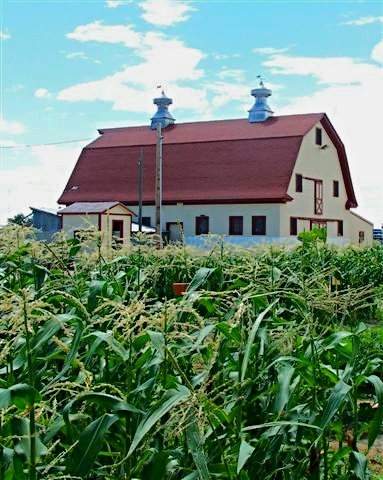 The barn, which was originally used as a dairy farm, still serves agricultural purposes. Mayor says: “the barn is wonderful - one of the more therapeutical things we do. We have our own 4-H club. Kids raise animals and show them at county fairs, and any proceeds go to the kids. This site allows us to have that animal program.” The history of the site - particularly the original use as a dairy farm - is a major contributor to St. Joseph's purpose. “Those agricultural roots serve us well today,” said Mayor. St. Joseph's Children's Home is a terrific example of some of the basic principles of historic preservation. The school has been in the same spot for its entire history, and used the same buildings ever since they were built in the 1930s. They have retained the historic integrity of those buildings as their organization has evolved. Finally, their program serves public interest by providing educational opportunities to kids who need special attention. St. Joseph's embodies the idea that time can enhance the aesthetic, cultural, and spiritual essence of a place. Places can shape and evolve along with the organizations and people that use them, and the combination of new uses and purposes with the tasteful preservation of key historical elements can make a site truly beautiful. Browse our archive of Historic Places and Spaces Profiles by clicking here. To learn about all of our campaigns and initiatives, click here. Subscribe to our newsletter to learn more about what's going on in Wyoming. Donate or become a member to help us produce stories, organize events, and be a voice for preservation across the state. Like us on Facebook, and follow us on Twitter and Instagram to see our latest updates!